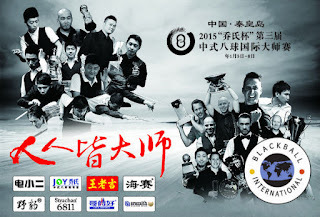 The following videos provide a series of blackball pool training exercises. These videos were uploaded to YouTube by PoolShot, author of Pool Aiming Training Software. 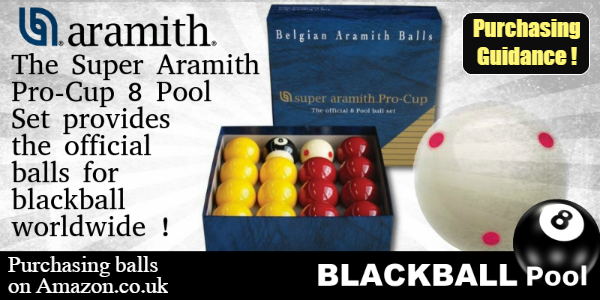 This series of thirteen practice workouts is designed to help make your billiards better! 1. This is an exercise in controlling both the speed and direction of the cue ball. As well as useful practice many players will go through a routine of a similar kind when about to compete on a strange table. This is often done prior to a league match to get a feel for the surface. Experienced players are well aware that the characteristics of playing surfaces can vary greatly and will adapt their approach to a game accordingly. Scoring : 1 point if the cue ball comes to rest in the target zone. 2. The emphasis in this exercise is again upon controlling the pace and path of the cue ball. The shot is ideally played almost dead weight. That is the cue ball is played up and down the table, so as to gently strike the centre of the yellow ball which in turn just touches the cushion. 1 point if the yellow ball hits the cushion. 3. 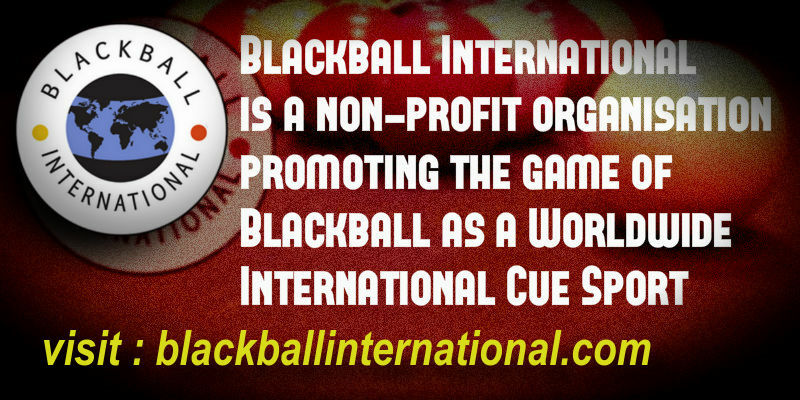 Align the cue ball and object ball with the middle pocket to practice follow through. Strike the cue ball a little above dead centre. Attempt to pot both the object ball and cue ball in a single shot. 2 points if the cue ball ends up in the pocket. 4. The screw shot (also known as draw or backspin) is achieved by striking low on the cue ball with the cue lowered as near as possible parallel to the bed of the table. Set balls up as shown for practise. 5. 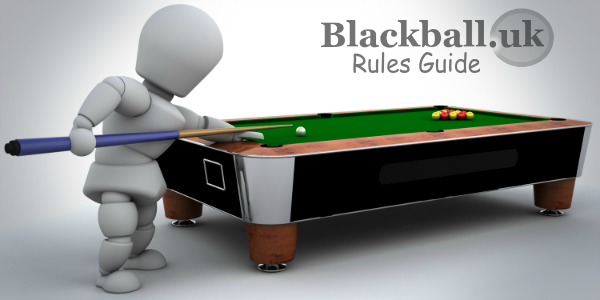 It is not unusual when playing blackball to position an object ball over a pocket so that it makes it difficult or impossible for an opponent to pot his or her ball in that same pocket. This useful tactical ploy can easily be practised. The term 'fudging' is sometimes applied to a certain tactical style of play. The 'fudger' may ignore easy potting opportunities in favour of manoeuvring object balls into favourable positions. 6. 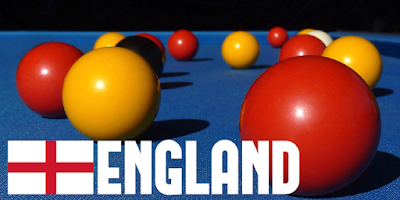 This is a basic exercise in positioning the cue ball over successive of shots. Plan ahead the order in which the balls are to be potted and the best position to leave the cue ball for the next shot. This is of course easier to achieve when, as in this exercise, the object balls are near pockets and are all in close proximity over a small area of the table. 7. This is an exercise about running out several balls, but with added difficulty in positioning. It can sometimes be advantageous during a competitive frame to position the cue ball towards the centre of the table giving a wider choice of subsequent shots. It is important to develop the skills needed to leave the cue ball in the intended position when it comes to rest after playing any shot. This is a good routine to improve your positional play. 8. This poolshot.org exercise was prepared to help practise "follow, stop and draw shots". Throughout a frame an opponent's group of object balls may obstruct potting opportunities. To avoid this it may be necessary to position the cue ball with some accuracy. This routine looks at positioning options which don't involve playing the cue ball off a cushion. 9. The ability to vary the application of a screw or draw shot to achieve the desired position of the cue ball is an important skill. This exercise is certainly more difficult. In each shot strike the cue ball below dead centre to the degree illustrated. The yellow ball should be potted in every shot. The proximity of the yellow to the middle pocket allows it to be hit slightly to the left or right of centre and still be potted. Attempt to have the cue ball come to rest in each 'target area'. 10. This is about potting four balls in close proximity. All balls are placed within a small area but not close to pockets. Determine the easiest way to get position for the next ball. In this exercise positioning the cue ball as close as possible to a straight pot on each object ball makes the clearance easier. With an increased angle of pot the more likely subsequent position will be lost. 11. This video was prepared to illustrate 'bank' shots. 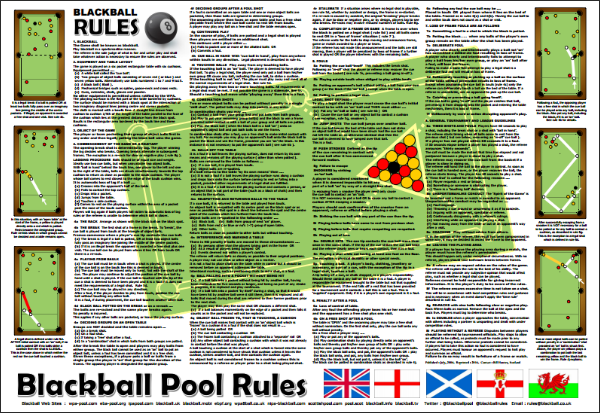 The bank shot is generally referred to as a 'double' in games such as blackball pool, certainly within the United Kingdom. From a variety of angles practice driving the object ball into a cushion (rail) prior to being pocketed. In this exercise the cue ball and object ball are repositioned after each shot to make the potting angle as direct as possible. Doubles that require cutting across the face of the object ball or which could result in 'double-kissing' are avoided in this basic routine. 12. This is an exercise about aiming to pot an object ball when it is touching a cushion (frozen to the rail). It is noticeable that in this video from poolshot.org the latter shots the cue ball is struck increasingly to the right of centre. In the final shot the object ball is successfully potted where the initial position of the cue ball would appear to make this virtually impossible. Is success in 'cutting' the object ball into the pocket at this extreme angle due to 'throw' or perhaps 'transmitted side'. One explanation is that because the cue ball is struck to the right of centre it initially travels left before straightening out and contacting the left of the object ball. Your comments are welcome! 13. 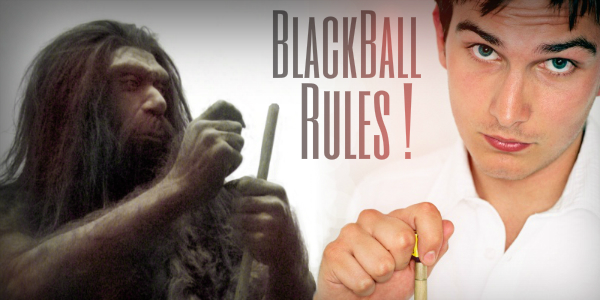 In playing blackball the rules state... "A player may pot the ball or balls of an opponent's group provided at least one of his own balls is potted legally in the same shot and a ball from his/her own group is struck initially." Legally being able to pot both red and yellow balls in a 'combination shot' contributes to a faster more open game. In this routine the player 'on' yellow pots a ball from each group in a single shot. As you'll see some remarks have been added below each video. If you'd like to add your thoughts about these routines please use the 'Post a Comment' option below. In routine #13 which looks at combination shots... on a reasonably fast surface, with light or no nap, the natural forward roll of the yellow (hit at medium pace) is likely to carry that ball into the pocket provided it strikes the red centrally.